You’ve heard a cat purr. Unless you have an odd kitty, there’s an excellent chance your furry friend purrs on the regular. Cats will purr. That’s just a part of feline life. That’s just how it goes. Well, we usually assume a cat purrs because they’re happy. Purring is associated with a happy and content kitty. While at times cats purr because they are content, there’s more to it. The purring equals happiness isn’t factual. See, cats purr for a number of reasons. From physiological to mental to emotional to evolutionary – your cat purrs for many reasons. 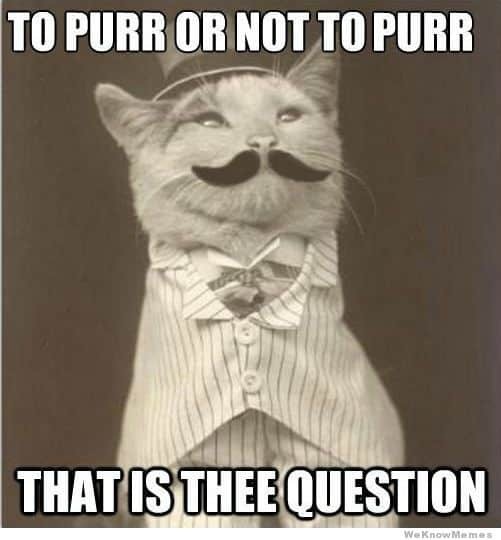 There are many different types of purrs. 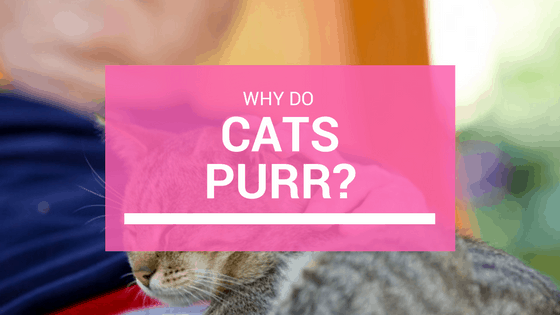 So Why Does My Cat Purr? Before we dive into why cats purr, let’s talk about one fact: not every cat purrs. Most do. But some don’t. For example, in the wild, certain cats will purr. Other cats will only roar. Wild cats like lions and tigers roar. They’re able to create such a noise due to a specialized larynx combined with a flexible hyoid bone. These cats roar to express anger, communicate with other animals, and mark their territory. While these kinds of cats can almost purr, it’s not a true “purring” sound. Many debate whether these noises are purrs or not. Other cats like servals and cheetahs prefer to purr. They are unable to roar. Just like domesticated cats, these types of cats will use other ways to signal anger or fear. Hissing or fluffing their back fur up are commonly used to tell other animals to stay away. Yes, there is some truth to it. Your cat purrs when he’s happy. If your cat seems to be enjoying an activity like sunning in the window or while you softly pet him, then there’s a good chance of purring. If your cat seems happy and relaxed while purring, then they’re content doing whatever they’re doing. The purring is a good sign. Cats cannot communicate with words. Of course, we all know this. But our furry friends still want to communicate with us. They still like to make sure you understand what they want. One of the ways cats communicate with humans is through purring. Maybe your cat is purring when you walk in the door from work. Your feline is looking for some attention. If your cat is purring loudly next to the feed bowl, then there’s a solid chance they want some food. Cats aren’t dumb animals. Our furry friends can learn – and often, they pick things up quicker than we’d ever imagine. As such, many domesticated cats quickly learn that their purring has an effect on the humans in their life. Many cats have learned that purring can ensure cat owners pet, play, and feed them – on demand. If your cat continually purrs around you to get what he wants, there’s a reason for that. Our felines are pretty intelligent little guys when hungry or craving attention. Cats also purr when they are in pain, anxious, or in distress. 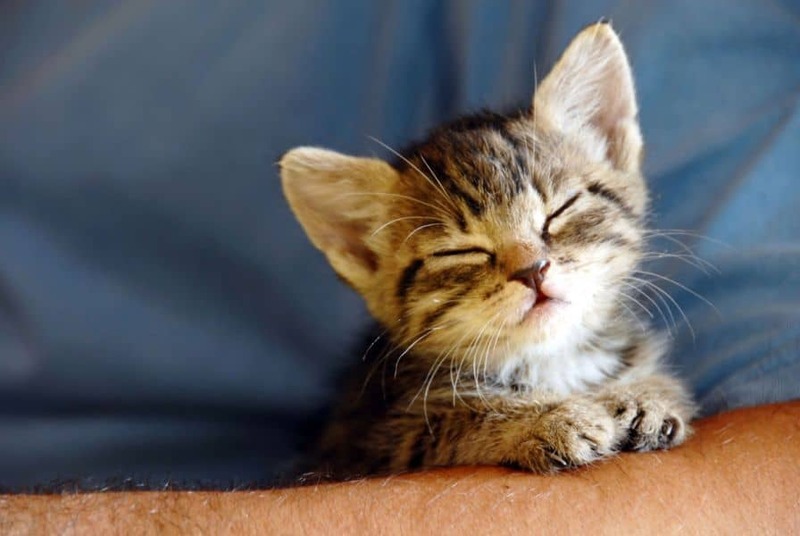 Many believe that purr helps cats relax. If your furry friend looks in pain or scared, but is purring – then there probably is an issue. Cat owners usually recognize this purring early on, as the tone is usually different than a relaxed purr. While the science is still adapting, it has been shown that certain frequencies of purring can help cats heal injuries. Purring is said to offer pain relief, stimulate bone growth, and even heal some minor bone fractures. Cats certainly purr for their own health benefits. However, there could be more to it. Many a pregnant woman has noticed the cat loves to sit on their belly or near it during pregnancy. Why is that? There are many reasons why your feline purrs. It’s not just happiness. If you want your furball to purr more, make sure you offer lots of petting and creature comforts. Keep fresh water available. Always feed your cat on schedule. Clean the litter box. Offer a little attention. Your furry friend will love you for it, and purr more!